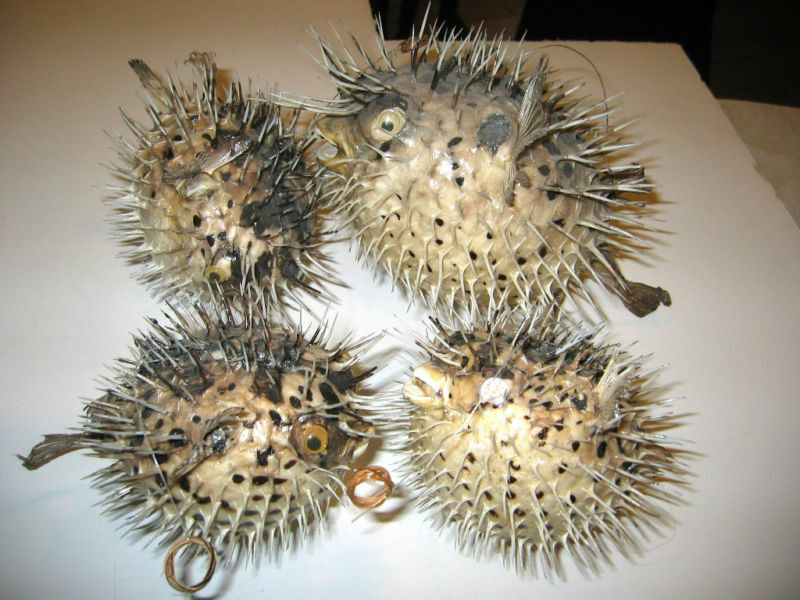 ﻿I was disappointed to miss out on these puffer fish. Ugly little suckers, aren't they? Ah well, I'm sure I'll have even better ones when my home tiki bar is up and running - lights and all. Those are cool! I've never seen them lit up before! Aw darn! I don't have any pufferfish yet either, so don't worry...someday! 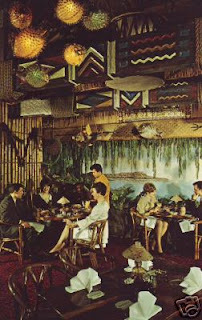 There's a Tiki Cocktail bar in Manchester that has these hanging from the ceiling as their. I'm fascinated by them! They also serve their cocktails in giant Tiki glasses. Brilliant!